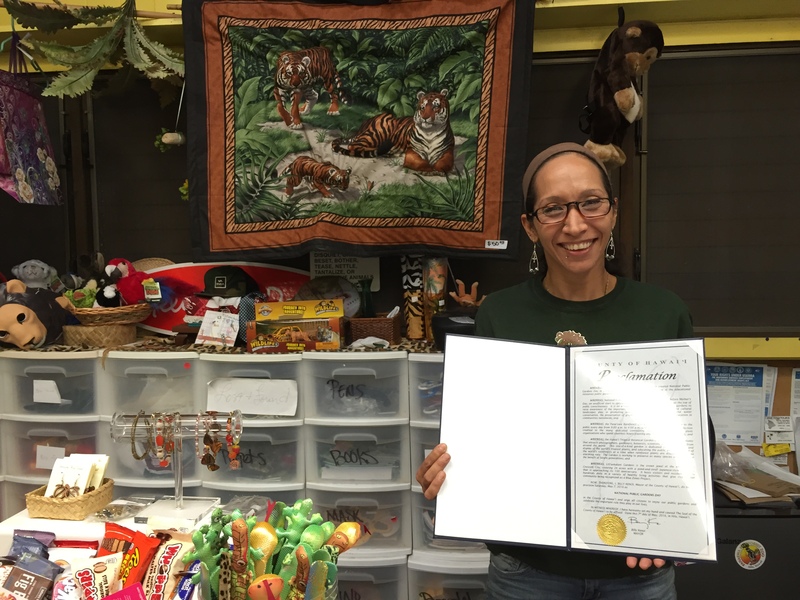 Char presents the 2016 public gardens proclamation to K.T. 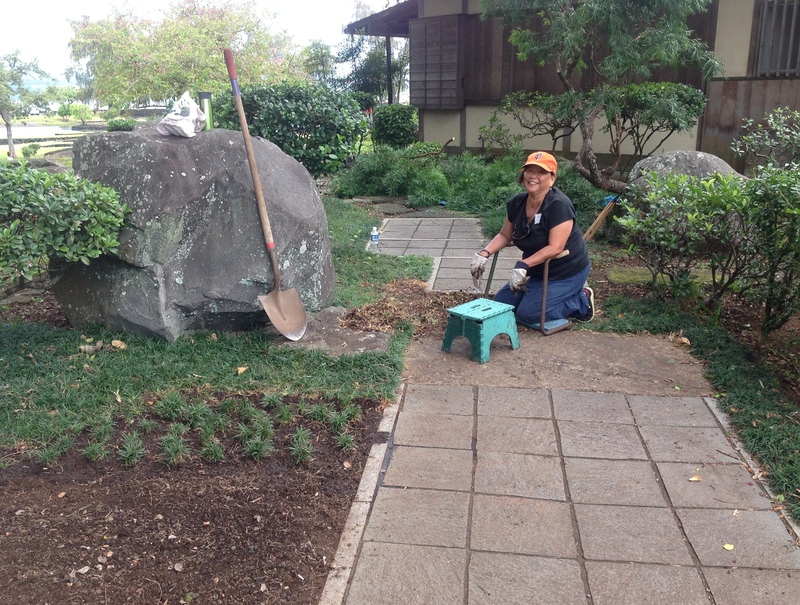 Friends of Lili’uokalani Gardens will sponsor the third annual “Gratitude for the Gardens” Saturday, May 7, from 8 a.m. until noon at the County Park on Banyan Drive. Participants are asked to wear closed toe shoes and eye protection, and bring their garden gloves and favorite rake. 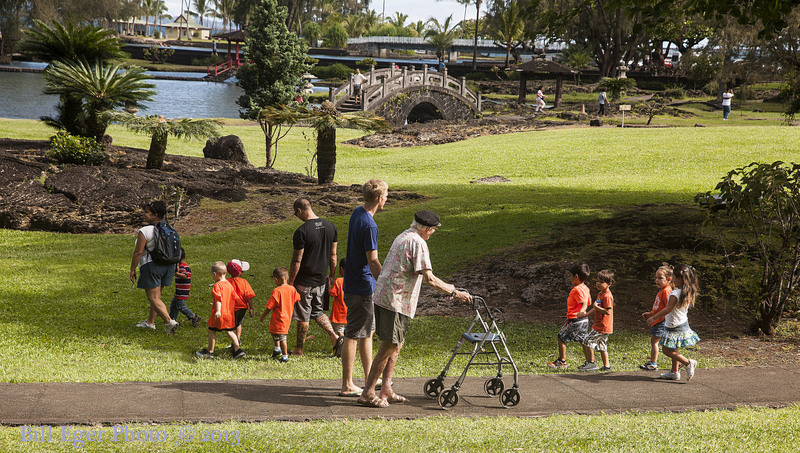 “First called the ‘crown jewel at the entry to the Crescent City’ during construction in 1917, Lili`uokalani Gardens is also remembered by old timers as ‘Nihon Koen’ or Japan Public Park,” said K.T. Cannon-Eger, president of the Friends group. 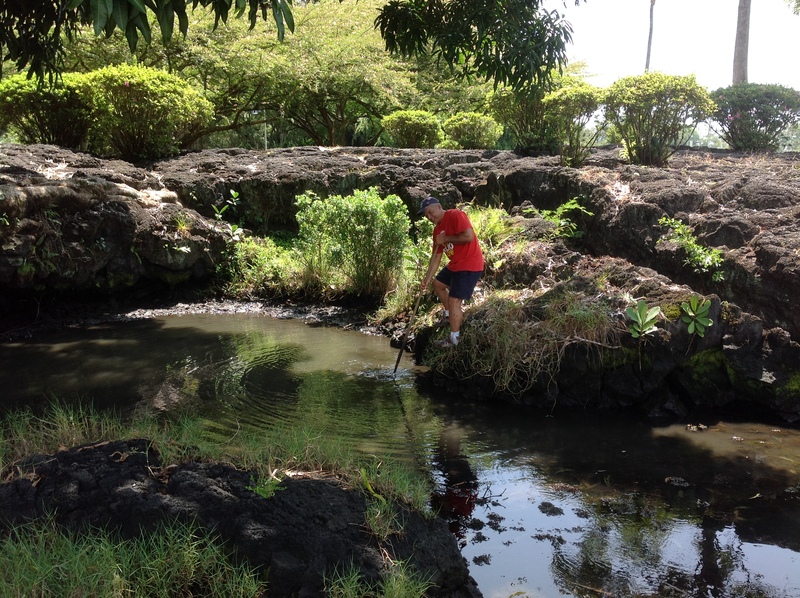 Friends of Lili`uokalani Gardens is helping the County to prepare for centennial celebrations in 2017. 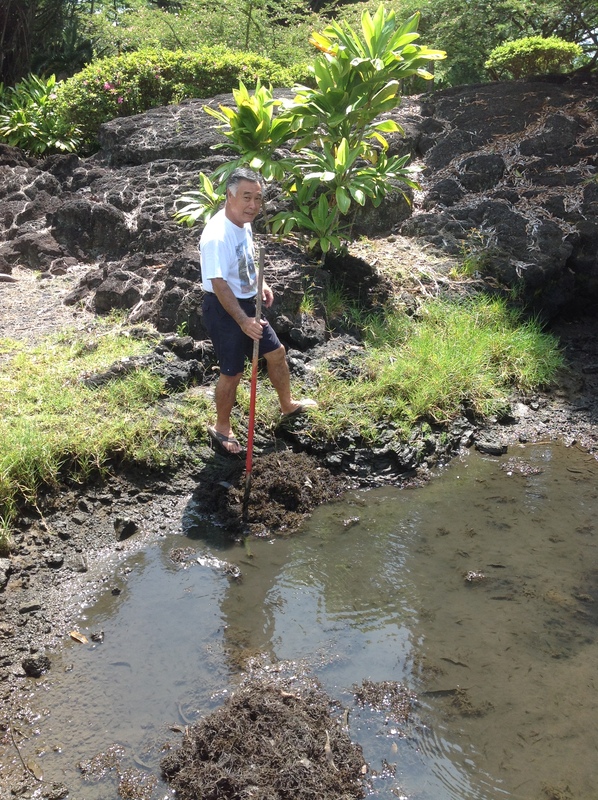 Volunteers have helped clear invasive seaweed from Waihonu, the pond at the heart of the garden. 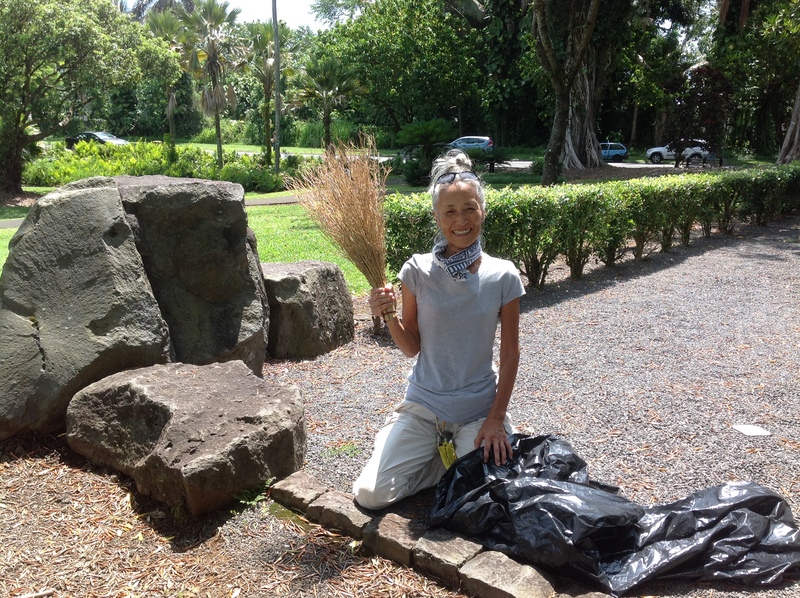 Other gifts of gratitude include trimming small trees, replacing dead bushes, fertilizing azalea and camellias, treating sago palms for cycad scale, and thinning the overgrown bamboo thicket, among others. 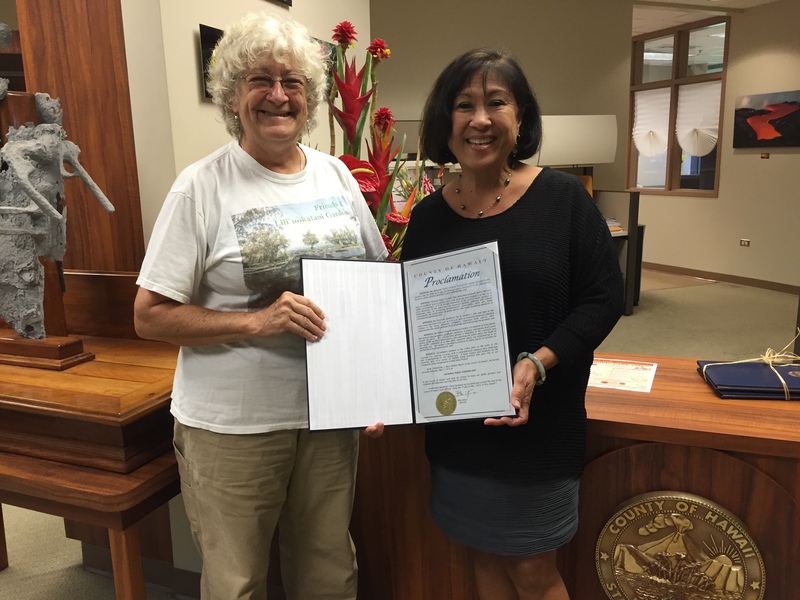 “We are most grateful for Mayor Billy Kenoi and his continued support for parks throughout our County,” said Cannon-Eger. For further information on Friends of Lili`uokalani Gardens and centennial plans, contact Cannon-Eger at kteger@hawaii.rr.com or phone (808) 895-8130. In 2009, National Public Gardens Day began as a way to celebrate the nation’s public gardens and “to raise awareness of the important role botanical gardens and arboreta play in promoting environmental stewardship, plant and water conservation, green spaces, and education in communities nationwide,” according to the American Public Gardens Association. 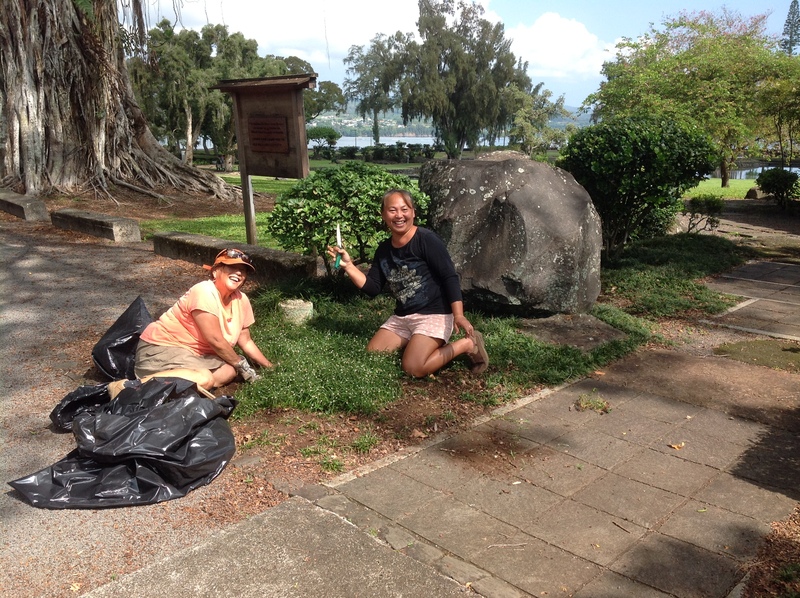 This year, Lili`uokalani Gardens will participate in the national event for the first time with clean up activities and specialized tours organized by Friends of Lili`uokalani Gardens. With the direction of the County Parks and Recreation Department, clean up and painting projects are planned for Friday May 9 from 8 a.m. to noon. The East Hawaii Master Gardeners Association is participating in the event along with Friends of Lili`uokalani Gardens. Other public gardens in Hawaii County include the Pana`ewa Rainforest Zoo, the Hawaii Tropical Botanical Garden in Onomea, and the Amy B.H. Greenwell Ethnobotanical Garden in Captain Cook. 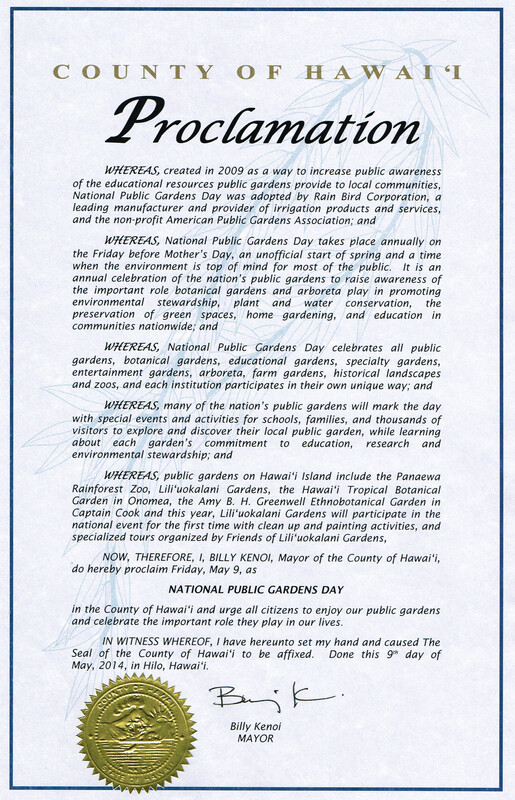 Mayor Billy Kenoi declared Friday, May 9 as National Public Gardens Day in Hawaii County. 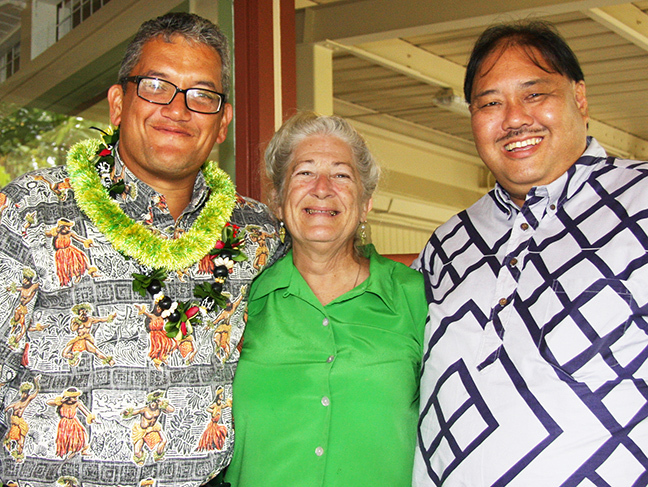 Mayor Billy Kenoi recognizes the importance of public gardens.